High Steer Kit for Hilux | Marlin Crawler, Inc.
Crossover steering systems replace the factory push-pull system eliminating about 90% of bump-steer. With High Steer crossover steering, the tie rod is moved up and above the leaf springs. This places the rod out of the way of most trail obstacles and provides a clean factory look. Our kits feature our USA-steel and CNC-made Solid Billet Steel steering arms, and are packaged with our Heavy Duty 1.25" X .250 wall USA-steel and U SA-made D.O.M. seamless tubing and oversized FJ80 tie rod ends. The kit also includes a one piece pitman arm to complete the conversion. IFS-type Steering box and mount kit are required on '79-'85 Pickups/4Runners, sold separately. Fits 1979-85 Pickups and 4Runners, and 1986-94 solid axle swapped Pickups and 1986-95 solid axle swapped 4Runners. Please be aware that at least a 4" suspension lift will be required to fit the High Steer system. When it comes to the safety of our own rigs, we would never take risks in using lower quality steering components. We sell what we trust and we know you won't be disappointed in our High Steer kit! 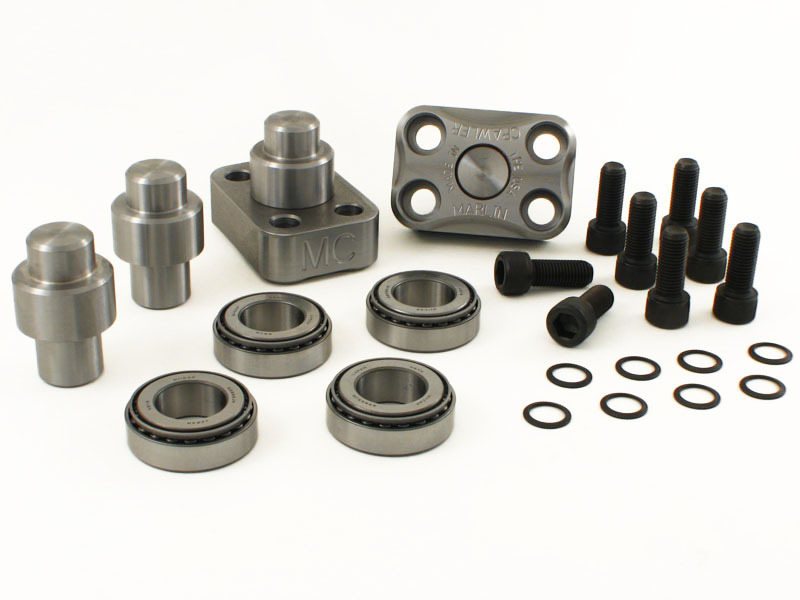 Standard Kit: Includes one complete High Steer Kit with 17mm Chromoly pin-equipped arms. 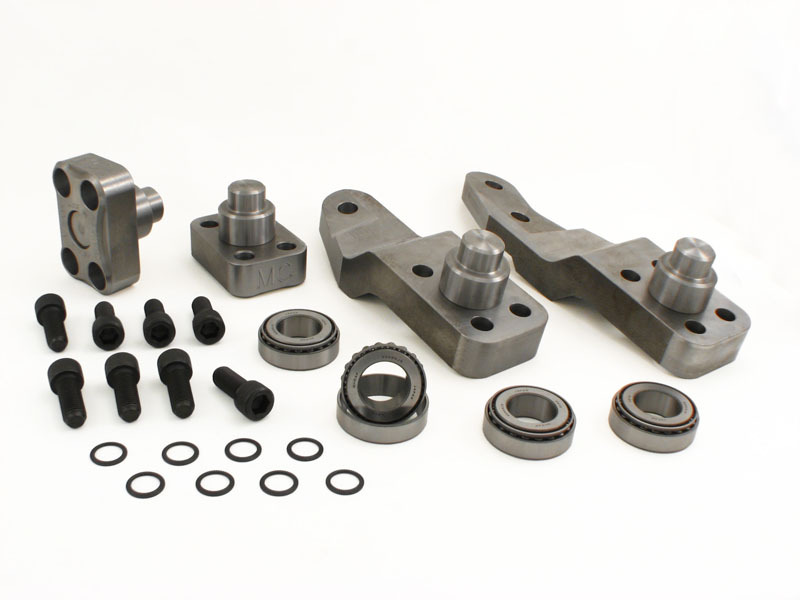 Optional 25mm Heavy Duty Kit: Includes one complete High Steer Kit with 25mm Chromoly pin-equipped Arms, 25mm High Capacity knuckle bearings, H.D. lower caps with 25mm pins and hardware. The price of this upgrade is reduced since we keep the Standard Kit's 17mm pins.